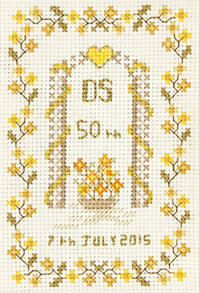 This golden wedding anniversary sampler is stitched with shimmering golds and delicate greens. 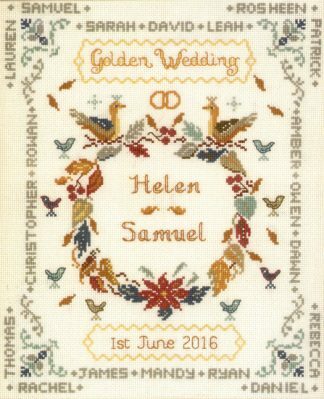 These symbolic emblems are stitched in silver and gold threads and so they glitter and gleam. 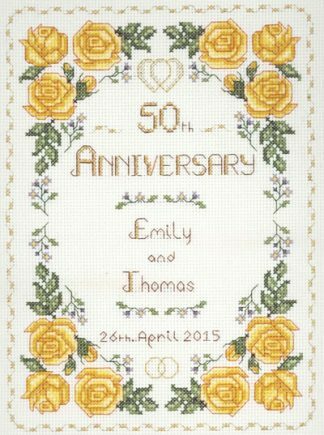 This 50th Wedding Anniversary sampler kit is from the Decorative Textiles collection.